Are we in a cryptocurrency bear market? With so much uncertainty right now it would be a good time to take some time to go over what happened recently and how to invest moving forward. 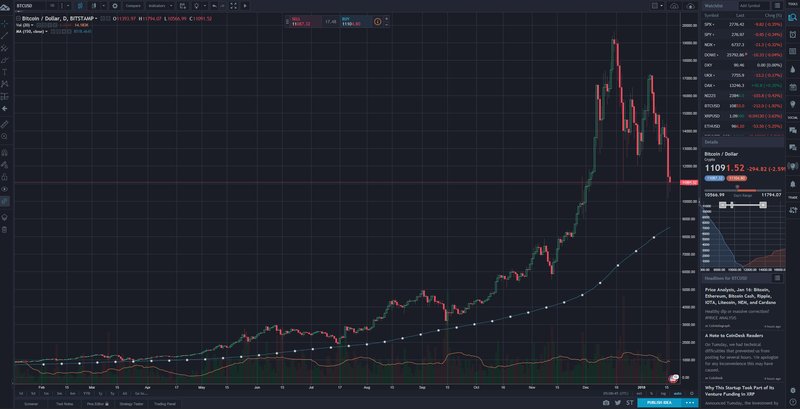 We’ve seen a peak bubble at around 850 billion total market cap in the first week of January, consolidated down to $750 billion and have now just experienced a 40% correction. 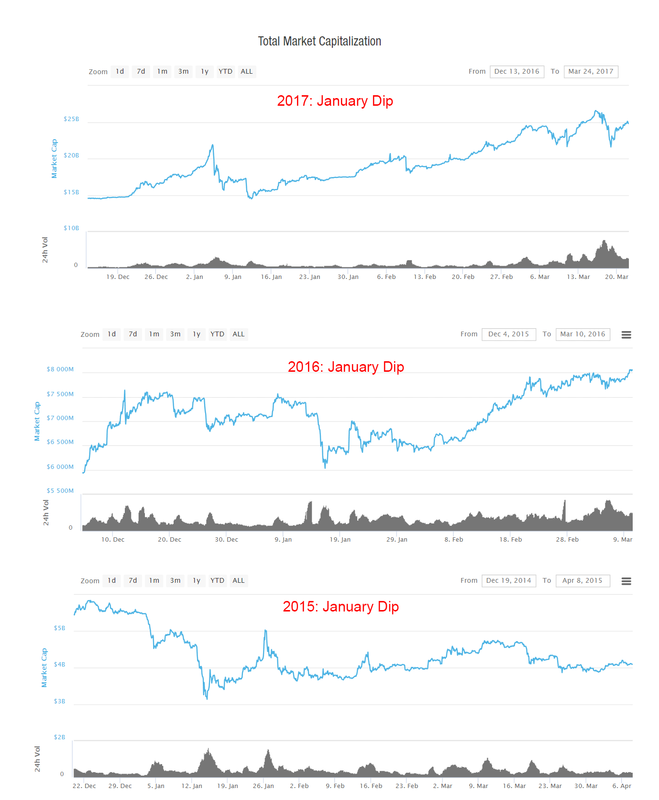 First of all, you should realize that there is a January Dip that happens every year, when we see a roughly 20-30% decline around mid January. This year its been much more severe though for several additional factors that have compounded on top. ~ We had a new breed of speculators come in during the November/December timeframe after media made cryptocurrency mainstream following the Bitcoin 10K landmark. While cryptocurrency markets have always had too much hype, the latest rise wasn’t just over-enthusiasm in fundamentally sound cryptocurrencies like Monero and Ethereum, but mass inflows of fiat into vaporware and complete nonsense without any use case. Many people came in to essentially gamble on symbols on an exchange, and are thus short-term oriented and quick to sell on any slight downturn, which such further adds to selling pressure. So in essence we got a storm of scary news along with the usual cyclic downturn. Currently, I don’t see this as being a systematic crash like Mt.Gox was that would lead to a long term bear market because the fundamental ecosystem is still intact, and I suspect that after about a month we should consolidate around a new low. All the exchanges are still operational and liquid, and there is no breakdown in trust nor uncertainty whether you’ll be able to cash out. What range the market trades in will all depend how Bitcoin does, right now we’ve already broken below 10K but I’m seeing a lot of support at around $8000, which is roughly where the long term MA curve settles. I don’t expect us going below that support line anytime soon without any systematic breakdown. The fact we got closer to it is actually quite healthy in the long term because it is a valuation that can be logically justified using the cost factors of the mining network. In addition when I run a regression on the price history before the crazy Nov/December bull run, the first Fibonacci level seems to be just around $8000. So I think we should consistently move above that support level, possibly with a few weeks of fluctuations between the $9-$13K range.